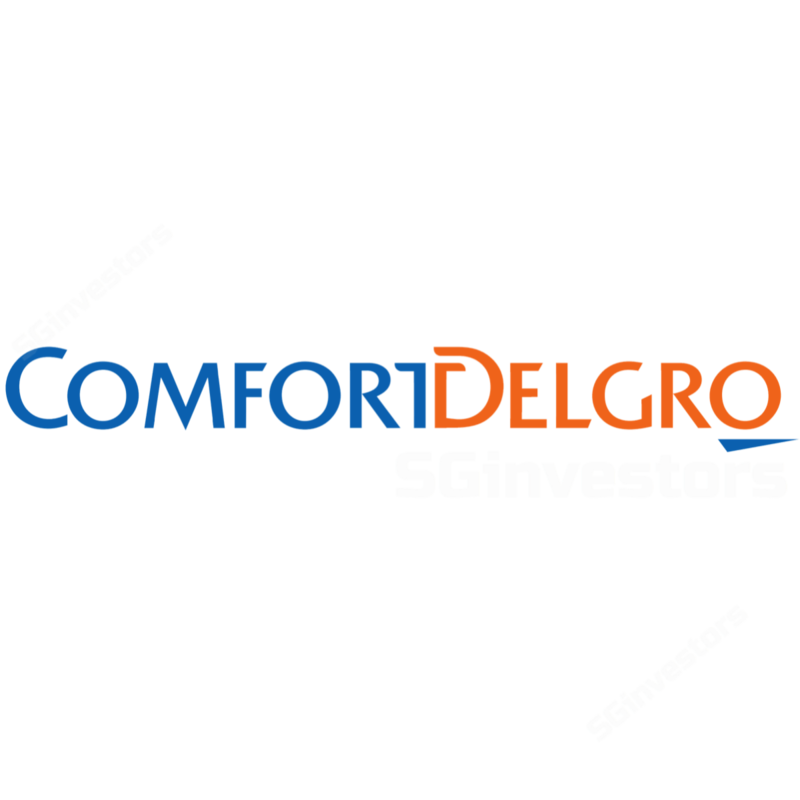 Our recent conviction BUY on ComfortDelGro has not been compromised by a Business Times report about a possible investigation into Uber’s vehicle procurement practices; whether true or not, our call is premised on expectations of an earnings uplift from its rail and bus units, supplemented by ex-taxi FCF yield of 7.8%. If a tie-up does in fact materialise, we see enhanced returns for ComfortDelGro's taxi operations in the longer term. While our analysis suggests that at prevailing rental rates of SGD50-70/day, Uber’s Lion City Rental’s ROIC could be at low single digit, below ComfortDelGro's 8.5%, we see savings from fixed-cost synergies, better fleet management to improve utilisation rate and improved rental rates could enhance long-term return. Maintain DCF-based Target Price of SGD2.40 (WACC 9%), implying 16x FY18E EPS, its 13-year mean. on the other hand, a deal, if any, could be delayed. Lion City Rental (LCR)’s asking car rental rate is SGD50-70/day, comparable to Grab’s. We estimate that LCR should be profitable at its current fleet size of 15,000.
cost savings in vehicle maintenance & bulk purchases and possibly a leaner back office. A 2 Oct 2017 Business Times report quoting industry sources that LCR may be under investigation by the CPIB for its car purchases from parallel importers. ComfortDelGro's talks with Uber are ongoing, with nothing firmed up. We believe it has the latitude to back out of any deal if it is unable to ring-fence any legal issue or have recourse for related contingent liabilities. We think it has room and time to put in place safeguards to ensure that its taxi operations are not jeopardised by a transaction. Uber’s alleged troubles with the authorities could explain why it is a willing seller of its car-rental business. We believe this could strengthen ComfortDelGro's hands in negotiations. The downside of any investigation is potential delays as both parties iron out the legal issues. We analysed Lion City Rental (LCR)’s 2015/16 financial statements submitted to The Accounting and Corporate Regulatory Authority (ACRA). Our calculations suggest that LCR should be profitable, with its present 15,000 vehicles and average rental rates of SGD50-70/day. But our estimated ROIC of 3.5% for LCR is lower than our 8.5% estimate for ComfortDelGro's taxi operations. ComfortDelGro charges a higher SGD100/day for its taxis. Assuming 30% fixed costs and 90% utilisation rates, we estimate breakeven for ComfortDelGro's taxi business at SGD72/day and SGD51/day for LCR. Based on our findings, ComfortDelGro's near-term earnings may not be boosted by a deal with Uber. But longer term, we believe its returns could be enhanced by savings from fixed-cost synergies, better fleet management and improved rental rates in a steady state. Also, if ComfortDelGro could acquire LCR’s business at lower acquisition costs with better bargaining power, its returns could be more attractive. Steady-state utilisation rates of 88% for ComfortDelGro and 83% for LCR. We assume ComfortDelGro to have better utilisation due to more efficient fleet management. An asset mix of 30% new cars and 70% old cars for LCR’s 15,000 vehicles. LCR has been active in purchasing 6-8-year-old vehicles. These have lower depreciation charges than new cars. ComfortDelGro's assumed fleet size is 15,000. Fixed costs at 30% of total costs for Comfort, as guided by management and SGD20m for Uber. We believe ComfortDelGro has larger fixed overheads due to its much larger overseas taxi operations. improved rental rates when the industry reaches a steady state, after all players have accumulated steady market shares. ComfortDelGro's vehicles run on diesel, which lowers fuel costs for lessees. With cost savings of about SGD0.10/km, this could be SGD10-15/day, assuming 100- 150km travel/day. Ability to manage fleet size could improve utilisation rate and ROIC. They include managing fleet renewal and vehicle mix. Based on their useful life of 8 years, 12.5% of ComfortDelGro's vehicles will be up for renewal every year. Breakeven for Uber is likely to be lower as its cars are smaller and older. Uber’s cars stretch to 10 years but ComfortDelGro retires its cars at eight years. Gross profits for ComfortDelGro are much higher as its rental rates are higher. Fixed costs much higher for ComfortDelGro because of its large overseas operations. Outside Singapore, it has taxi businesses in China, the UK, Australia and Vietnam. But there are synergies to be harnessed from vehicle maintenance, the bulk purchase of vehicles and possibly a leaner back office.